Co-Founder @rokkan exited to @Publicis $PUB.PA, 15yr UX Vet, architecting transaction/content platforms for VirginAmerica, JetBlue, AmexTravel and Dish. Investor, Entrepreneur, Advisor. @yale-university MB&B & MIT @mit-sloan-school-of-management MBA. Venture Partner at @sigma-prime-ventures , Entrepreneur, Mobile Enthusiast, Light-Weight Hacker & Gamer. Co-Founded @zip2-com, VP Business Development at @altavista, COO BMAC Finance, Advisor to internet startups and a distressed real estate fund. Investing in what matters, not in what's predictable. Over 70 investments on @angellist. Executive Manager @elite-derma-care. CEO and co-founder of @stack-exchange. Co-founder of Fog Creek Software and Trello. Worked at Juno and @microsoft. Not actively investing. Co-founder & General Partner @sparklabs-global-ventures & @sparklabs Accelerator in Seoul. Former Executive at @facebook. Father of 4. Mountain Biker. Serial entrepreneur (@feedburner sold to @google, @spyonit sold to 724 Solutions), designer, pilot. My head is full of zero-billion dollar business ideas. Founder & Exec Chair @localresponse, GP @ @eniac-ventures, GP @india-internet-group. 14+ years experience investing and operating across the mobile ecosystem. CEO and Founder, Grow.co - customer acquisition think tank and advisory services. Prev founded LeadsCon, sold to AccessIntelligence in 2012. Founder Enteka Ventures • Worked at @google, @doubleclick Connector. Creator. Entrepreneur. Investor. Partner of ARC Fund and MD at Digital Entertainment Ventures. VC at Divine and Sandbox. JD/MBA at Northwestern; MS in Computer Science (Depaul) and BS at UofC. AL Syndicator; CoFounder @blissmo @richrelevance; helped launch @kiva; Investor @goodreads @counsyl; Advisor @indiegogo @change-org; BS in CS from Stanford. Founder, eSecLending and BuysideFX. Invest directly in startups, in AngelList Syndicates, and a few funds. Massive AngelList groupie. Love mobile, fintech. Founder of Tengah. Cofounder, author, and chief architect of the @weblogic Application Server. 10+ years angel investor & advisor, former CTO-in-Residence at Accel and Azure. Investor; Founder & CEO of @behance; Author of Making Ideas Happen; Adobe's VP Products/Community; Eternal Student. Theory & practice of social media. Advisor to @flickr, del.icio.us, dodgeball, currently to @foursquare, @socialbomb, @cursor, Nerd Collider, GivKwik, Singly. CRO @republic-project, acquired by Sizmek. Traveler, sports enthusiast & startup junkie. Passionate Advisor & Investor. CAL Alumnus! COO of Prolific Interactive. President DMV Capital. Start-up & small business mentor. Running a mobile accelerator in DUMBO/Brooklyn. co-founder @quietly @hootsuite @invoke @brightkit. I'm sparkly, very sparkly. Writer, designer. Previously product designer for @flipboard. Advisor for @medium, @955dreams. Mentor at @500startups & @designer-fund. Investor in @oyster, @editorially, @tokyo-otaku-mode, @timbuktu-labs. 2011 TechFellow. 2012 MacDowell fellow. Entrepreneur, problem solver, & investor. Explorer, experience & sports enthusiast. Founded Mediabistro, created multiple profitable rev streams, sold to WebMediaBrands for $23MM. Focus: B2B and SaaS. Looking for my next big thing. Partner at Laconia Ventures and Operating Venture Capital, Board Member of Wymsee and Advisor to C3 Metrics. technological solutions for social problems. CTO, @etsy. @flickr, Architect. Engineer, @odeo. Hacker, @indymedia. Founder, @metaevents. Co-Founder, SVP Strategic Alliances at @mojiva (acquired by @pubmatic); Advisor @wakefield-media. Visionary Punk, Founder of @haxlr8r ; Partner @sosventures-1. Most prolific investor in hardware (70+). Sometimes cowork w/ coconuts. Co-founder & CTO of: @resy-network , @crowdtwist , @fotolog , @BlackPlanet. Invested in @getbarkbox, @yearonelabs . Currently CEO @ DataSift. Also advisor to Urban Airship, Softtech VC, Akkadian Ventures. Previously SimpleGeo, Yahoo! & USWeb CKS. Co-founder & former CTO @get-satisfaction. NYTimes best selling author of Get Lucky. Serial tech entrepreneur since 1995. Above all, dad to Quinn & Tesla. Currently at the intersection of business strategy, product design and software development making things people love. CEO of Directly. CEO of Visible Path (funded by Kleiner, acquired by Hoovers). VP @emusic (IPO). CEO of IUMA (acquired by EMusic). BOD at ShopWell (IDEO). Yale. Built (and sold) HARO. Founder of ShankMinds Business Masterminds. Best selling author, marketing and customer service futurist. Skydiver, Ironman, NYC bred. 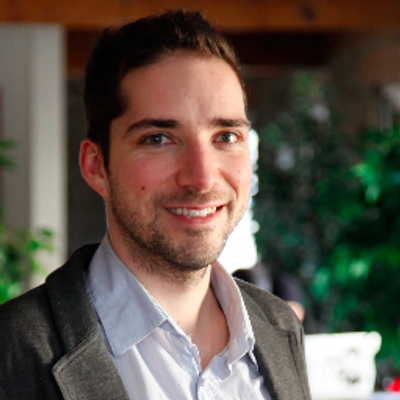 Co-Founder of early stage VC, @real-ventures (Montreal, Canada) and an investor in the FounderFuel Accelerator. Co-founder, CTO of @jirafe (ecommerce marketing analytics and automation). Founder, CTO of @openx (advertising platform). CTO of @unanimis (ad sales co). CEO at @umbel. Founder at @flightlock (acquired by Control Risks), Finetooth (now Mumboe), & most recently founding CTO of @the-texas-tribune. [email protected] Capital Partners. We strive to invest our time and capital into exciting and disruptive companies w/ dedicated, brilliant management teams. Member of the NY Angels. Investor and Advisor to Early-Stage Tech Companies. VP of Corporate Strategy & Development @cornerstone-ondemand. Lead global marketing, platform strategy, M&A, incubator and innovation fund. Former Executive Director of Shop.org for 10 yrs, co-inventor of Cyber Monday, founder of cybermonday.com, co-founder of Ifeelgoods. Management Sensei ◦ Infrastructure Samurai ◦ Analytics Otaku ◦ Architecture Ninja. 1st programming job at 14. Effective in teams of 4 to 10,000. Serial startup CFO, husband, daddy, armchair cyclist. CEO of @plympton. Launch team at @upworthy. Reporter at The @New York Times. Bestselling author. Survived Colbert. Applied math at @harvard-university. founder and CEO at @zemanta ltd.
SVP in Product Development at Salesforce.com Ex Chief Architect and CTO of JPMorgan Chase, former developer, and occasional investor. Building @stockup. Thinking End Game. Formerly @bond, @waze, @gowalla, & @marquis-jet. Trustee @exosphere . Co-founder: @weekdone communications tool for leaders and managers & @garage48 startup foundation. Product guy. Nearly a quarter century of working with institutional investors to discover outstanding investment opportunities. Private investor, wine collector, UCLA sports fanatic, traveler, husband, and father to 2 amazing kids. Founder & CEO of @photodrop. Previously, founded @thumb - 3 billion opinions & a Top 100 interactive agency that built products for Nike, etc. Entrepreneur in residence at Ernst & Young. Founding team of Gerson Lehrman Group. Ran financial services practice at Recorded Future. Active investor/advisor. Co-founder at @human. Previously Co-founder at @cardcloud (acquired 2012). MA Interaction Design. Runner. Ex-fat kid. Terminal.com. Facebook. Turntable.FM. Princeton University. Bridgewater Associates. Founder, Change The Ratio & TheLi.st; founding ed, Mediaite & HuffPo; advisor, @loverly, @the-muse-1, VoxMedia, Gui.de, She's The First. Also: lawyer, showtunes. Investor in over 20 tech companies. Founder of @dealtaker-com (sold to Media General 2008, bought back 2012), Dude. Focus on technology investments and exceptional management teams that are driven to build valuable companies around big ideas. Founded Organovo (NYSE: ONVO) and then Modern Meadow. Strong business background (McKinsey, Citigroup, venture capital). Kauffman Fellow, Wharton MBA, Harvard. Financial products [email protected] Gottlieb. Strong background in econ, stats, data and finance (ABD for Econ [email protected]; AB in Applied [email protected]; IBD at Lehman). Partner at Lumia Capital, later stage investing with an international bridge mantra & focus on wireless / Internet infrastructure and cloud / platform services. Network technologist at top information/media company. Background in management consulting at PWC (Stern MBA). I run Biz Ops @ordrin. Advsr @pannacooking. Fmr @stellaservice @americanexpress @waggeneredstrom. Went to U of Oregon (Go Ducks!) & NYU Stern. Founder @yourtrove-acquired-by-live-nation. Former CEO @dbix, COO @simpli-hosting. Helped scale @gdgt, @songkick, @justin-tv. Advisor @pubnub and @indinero. Founder of @wehostels (acquired by @studentuniverse). Investor and advisor to some startups. Founder and CEO of @drawn-to-scale, a distributed database company. Deep enterprise tech and open source love. Did SQL Server @microsoft, OSCON @o-reilly-media. Co-Founder & President @ Pear, Co-Founder @ Brand Accelerator, Board Member @ Worthee, Chicagoland Entrepreneurial Center Advisory Board, former ibanker. 3x tech entrepreneur, hacker, geek. founder of hakkalabs.co & 500 startups mentor. living the bi-coastal dream. Director at Techstars. Creating unfair advantages for early stage founders. Prior USArmy Enlisted, LondonBSchool, UChicago. I care about audacious challenges. MD @magnetik-partners and Venture Partner @boldstart-ventures . Former CEO @attributor, President at @digimarc Guardian and VP @yahoo. Product @myfitnesspal . Founder @sessions-2 (Acq. '13) & @we-are-hunted (acq. Twitter '11). @rock_health '12. Team @ @boxee & @startmate-exploration-fund . CEO of @cuenotes, Managing Director ConstellationCK, Director: @secretbuilders, Asset Performance Technologies, 5 time founder of tech companies. Entrepreneur at Skout and The Taploid as well as former Vice President of Innovation at Alcatel-Lucent. I've acquired companies & launched successful products. Managing Director, DreamIt Ventures. Successful entrepreneur (COO @bunk1), ex-consultant (Booz&Co), occasional angel investor & time-starved parent. Co-founder of Curious (big personal data) and @23andme (personal genetics). Sunfire member. Advisor to @rockhealth. Health nut. Broad cross asset-class investment experience in both fiduciary and principal roles. Product Management; Product Marketing; Program Management: UX, Web, Mobile, Emerging Technologies. @NovoPartners - MD. @bevvy - COO/Partner. @neurosmith (sold to Small World Toys), @texyard (sold to KarsdadtQuelle) and @beautyaddicts (sold to DSS). CTO of @conference-hound; Founded Mixture; Ex-Yahoo. Advisor/mentor @ health/tech accelerator Blueprint Health. Ex VC @ Spark Capital. Entrepreneur at Generation Health, sold to CVS. Payor corp finance & strategy. Co-founder and COO of Hire an Esquire; Worked at salesforce.com, Ernst & Young, and Tiffany & Co.; Founded Carbonado Group. Studied at UCLA and LSE. Founder @DailyMuse. YCombinator W12. Former McKinsey, @yale-university. Inc 15 Women to Watch in Tech. Advisor @Hackbright. Avid cyclist and Parisian. VP of Product for @Honest-Buildings. Experience creating publishing systems, mobile apps, social games, consumer sites, semantic tools, and media platforms. Founder of @parke-2, a new online, premium denim brand. Previously at @clickable, @hotjobs, @elife, @Goldman Sachs, @Wharton MBA, @harvard-university BA. Spends his time advising startups and matching talented folks with companies that need (and reward) them. Revenue Acquisition Mercenary - Global Alliances, Global Sales, Global Marketing. Board Adviser. Former US Navy. Innovative Technology, Social, Mobile. Founder & CEO, @brickhouse-security listed on the Inc 500 & IR 500. A product guy with a love for cool new tech. Connecting front line school district executives with best in class emerging technologies. [email protected], [email protected], Specializes in K-20 education, early-stage edtech, & emerging market ecosystems. Passionate about growing learning companies. SVP IR, raised >$20 billion for major IPOs. Former journalist; federal policy analyst. Now help startups succeed. Financial and communications expertise. Founder @bond, @exclusively-in, @sher-singh @tavalon-tea • Studied at @duke-university, @oxford-university, @Georgetown Law. Founder of @spock. Investor in Hive (stealth). Advisor to @gift-side-story, @brownrock. Team member of @microsoft. Chairman of Global Change Associates, an energy & environmental advisory in NYC. I advise on renewable energy, cleantech and energy efficiency project finance. Interested in technology, mobile, health, wellness, and all things healthcare. Business & Corporate Development @ Curemark, co-founder @ various startups, Graduate of Newhouse & Whitman Schools @ Syracuse University. Product Mngmt & Dvlpmnt for @digital-media, @advertising, & @analytics. Ad tech & marketing tech veteran, 2 coasts. Early @doubleclick @google-doubleclick. Key member of the About Group senior leadership team, with responsibilities for revenue, strategy, & site functionality. Lead multiple teams and multiple P&L’s. Past: Co-President, Stanford Alumni Angels East. Founded/Exited Cause TV, Inc. Stanford '04. NYU Stern MBA '11. Deloitte Consulting. Pfizer M&A Finance. Leading the #DigitalShift. Globe Trotter & Avid People Watcher. Always carry a Camera & Smartphone. Have you bought my book yet? Independent angel and advisor. Prior eng leader at Facebook, VMware, Trilogy, and multiple startups. Stanford CS. Interests in mobile, big data, cloud, edtech. Digital Brand Strategist. I specialise in Lean Branding for technology startups that are defining new product categories. Founder @ Jina Ventures, Contributor @ CNBC, PE Secondaries, VC Investor, Conqueror of Obstacles. VP new business at @dow-jones. Former head mobile music @amazon, luxury marketing @ahalife, ex @walt-disney-imagineering. @harvard-university.